Please be aware that the Mikme OS (software or operating system) for your Mikme Microphone is still in BETA. This means it is still under development. Please backup your recorded data to you computer before you update your Mikme OS Bootloader. to access the files in your Mikmes root folder. 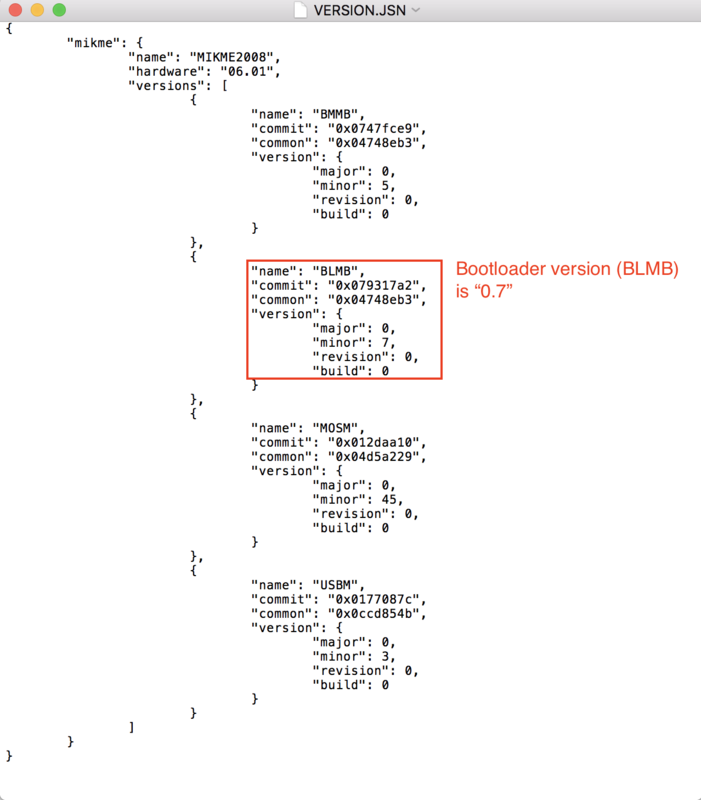 In this example the Mikme OS Bootloader version (BLMB) is "0.7". 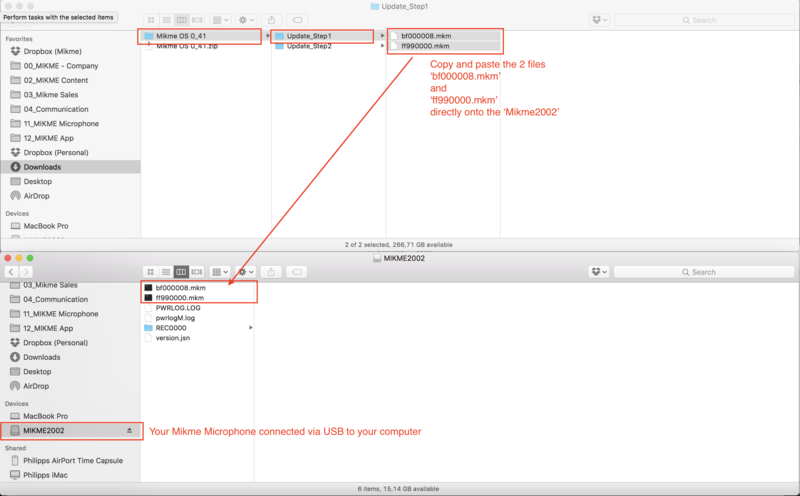 3 – What is your Mikme OS Bootloader version? Then you have the latest Bootloader version. NO need to update the Bootloader. You don't have to proceed further here. Now check if you have the latest Mikme OS installed. Then you need to update your Bootloader. Follow on with step 4 – download the latest Bootloader. Backup all your recordings of your Mikme Microphone. Copy all files from your Mikme Microphone onto your computer. 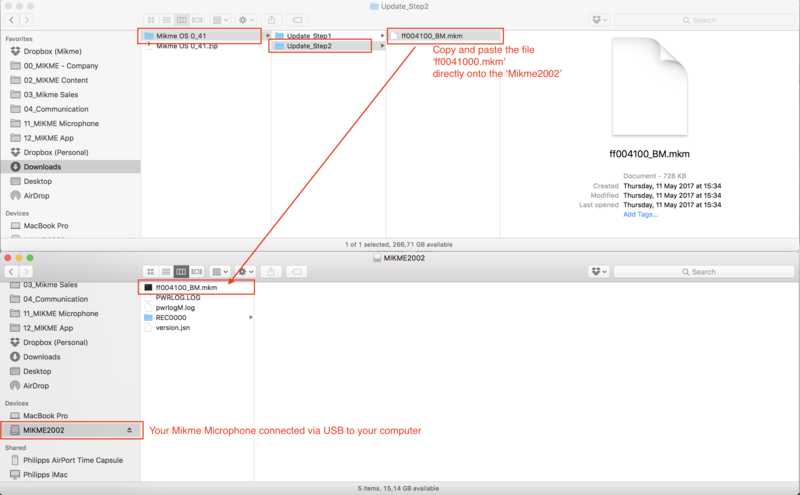 Follow these instructions to update the Bootloader of your Mikme Microphone. You should see the Mikme mounted as an external storage on your computer's file explorer. onto your Mikme's root folder. Eject Mikme from your computer. Use the eject button of your computer's file explorer. DO NOT disconnect the USB cable that connects Mikme with your computer. Mikme should automatically restart — this means the update has been completed. Now Mikme will perform the update — this should take about 1 minute. The top LED of the Mikme will blink blue and green while updating. Then, Mikme will restart automatically. Now, Mikme will perform an update again — this should take about 1 minute. The top LED of the Mikme will blink pink and turquoise while the update is active. (3 short, 3 long, 3 short pink blinks). Now Mikme will show up again as an external storage on your computer. Follow these instructions to update the Bootmanager of your Mikme Microphone. You should see the Mikme mounted as an external storage on your computer's file explorer (it can take up to 10 seconds until the top capture LED flash orange). Eject Mikme from your computer (use the eject button of your computers file explorer). DO NOT disconnect the USB cable which connects Mikme with your computer. If the top LED of your Mikme is white again then the update was done successfully.